The first step towards committing to starting a business is making it official. The biggest difference between an entrepreneur and a “want-repreneur” is action. While “want-repreneurs” talk about it, think about it, and even ponder it in the wee hours of the morning, they won’t get much further. Entrepreneurs take action. Most people think forming a corporation is a big complicated and expensive process. It can be if you hire an attorney that charges by the hour. An attorney may charge you cover $5000 to officially start your business. The process is much easier than you think. I've started over 11 businesses and intend on showing you that you can either do the paperwork yourself with a few hours of work and about $350, or you can file using an online service in under an hour for about $800. If you are going to incorporate you business you need to decide on creating either a corporation or a limited liability company. Both options allow for the corporate protection we are looking for. I don't want to offer legal advice for liability purposes, so I encourage you to do your own research or consult an attorney with questions. If you are a small to medium sized business (under 50 employees) you will most likely be looking at either an S-corp or an LLC. A C-Corp is best for large corporations that raise money and sell shares. A C-corp pays corporate taxes on any retained earnings while an S-Corp has the earnings pass directly to the owners as income. I would say an LLC is the simplest of the bunch, and if you have 2 or less owners it is a great choice. Ownership is simple percents and there are not any complicated shares to deal with. 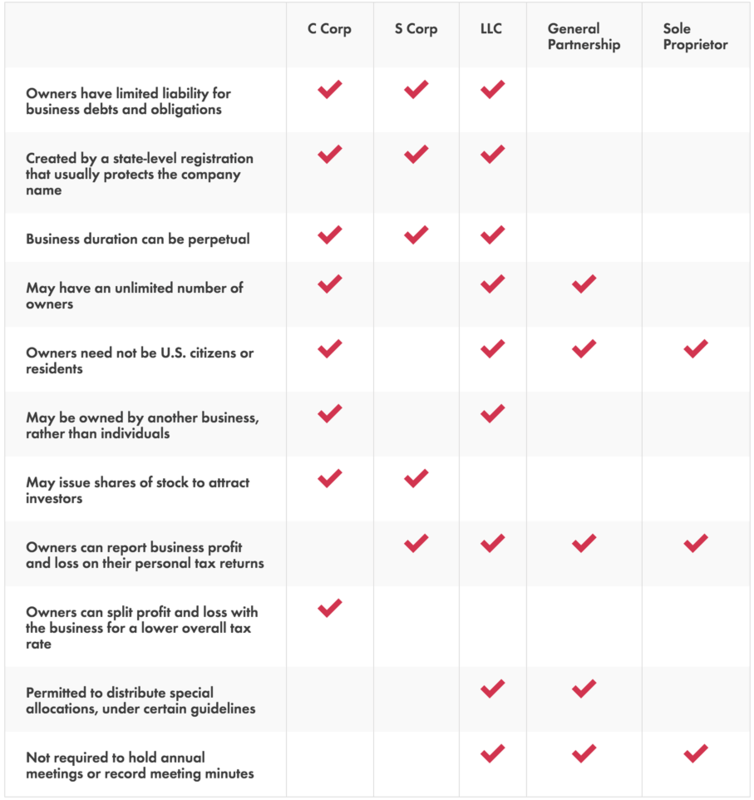 By default an LLC is taxed like a C-corporation. I learned this the hard way. You will need to file an S-corp election for your LLC in order to have the earnings pass through to the owners and avoid double taxation. I opt for S-Corps for a few reasons. I like to have Inc in the business name because it just feels more official, and it allows for the possibility of taking on investment partners later. I used to opt for LLC's until I went through the painful process of switching to a corporation later. When you change from an LLC to a Corp you will need a new Tax ID number from the IRS. This means you will need to get new bank accounts for your business. Any other financial accounts will need to be closed and re-opened under the new corporation's tax id number. This is the main reason I go with S-Corps. I can take on investors and change to a C-corp later without having to change tax id's and business accounts. Important note 1: An S-corp is formed exactly like a C-corp. The difference is you file an S-corp election to have the company's earnings flow directly to the the owners. This allows owners to avoid double taxation. Double taxation is when the corporation pays taxes once at the corporate tax rate (currently 35%), and then owners have to pay taxes again upon distribution. When choosing your business name you need to check a few places to make sure the name is available. 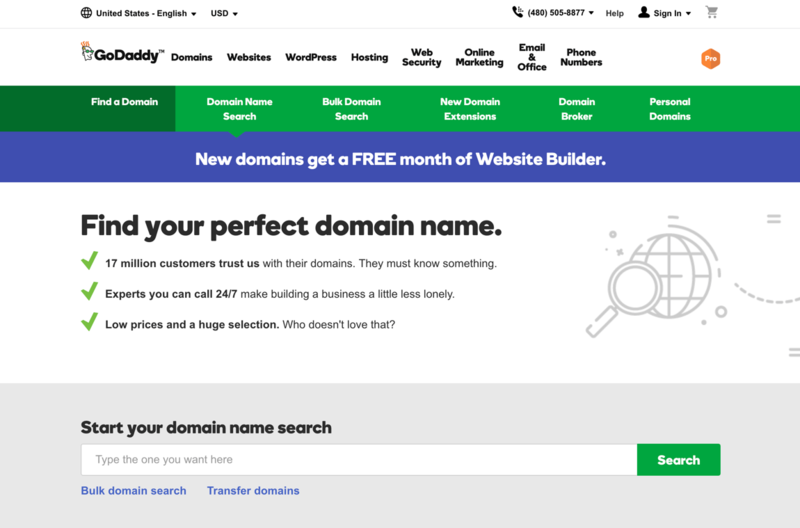 I first check godaddy.com to see if the domain name for the company is available. I like to have domains that end in .com. Next you want to check that your business name is available in your state. All 50 states have online databases where you can do an entity name search. I'll go over the three main choices when filing your incorporation paperwork. You can use an online service. Fill out the paperwork yourself. Use an online service to complete part of the paperwork, and complete the rest on your own. I have used online services multiple times and it depends on whether you want to save the $300 - $350 an online service charges. For my last to companies I choose to file the paperwork myself. The options an online service offers are pretty standard. The most difficult parts of forming your corporation are the filing of your articles of incorporation/organization and creating the bylaws. 1. Choosing an online service is the easiest option and provides the peace of mind you are doing everything correct. I used most comprehensive packages for the first businesses I setup. The cost will run about $350 plus your filing fees. Expect to pay around $700 - $800 in total. I've used both and if I had to choose I would go with incorporate.com because the service is comprehensive and simple, while legalzoom will push legal subscription services. Note: You will still need to do things yourself if you choose an online service. They do not register you for state sales tax and you may need to announce your corporation in an approved newspaper. Lastly let quickly discuss the options of incorporating your company in a tax advantaged state like Delaware, Nevada, or Wyoming. I don't think it is worth the hassle. For large C-corps this can be a great option, though for small to medium sized businesses it becomes complicated with out of state registered agents and locations. In my opinion you are better off incorporating in the state you are living in. Whether you are forming a corporation or limited liability company the process is identical. For either a C-corp or S-corp you will need to file Articles of Incorporation. Some states may call the paperwork something different. The paperwork is most often files with the secretary of state or department of revenue in you state. Most states offer online filing which makes the process quick. Here is a list of where to file your articles in every state. When filling out the required documents you can always call your state department for assistance. They cannot give legal advice, though they can assist you with your paperwork questions. Bylaws help direct the operations over the life of the corporation. When you have more than one owner it is a good idea to have these bylaws because they go over how the company is to be organized and run. Bylaws creation are included for you if you choose to use an online service. You can create them yourself using a separate online service. I use Rocketlawyer.com because I have a subscription to use their database of legal documents. You can use a service like LawDepot to create the documents for about $15. Filing for an EIN or Employer Identification Number, aka Tax ID is simple. The process takes about 10 minutes and then you get your EIN/Tax id. Keep this number handy because it is needed for any company applications. You will need a few documents in order to open a business checking account. Be prepared to answer questions about your business to open the account. Most banks have a required minimum balance needed in order to avoid fees on the account. I use Chase and the minimum is $1500. I like to get a business credit card when opening the new account and Capital One has some good options for cash back. Note: balances carried on Capital One business credit cards are reported on your personal FICO/Credit history. I ran into this issue and now opt for other credit card issuers. Most of you are required to pay, or at the very least file monthly state sales tax reports (unless you are lucky enough to be in a state with no sales tax). If you have employees you will be required to file for employment taxes and workers comp. Every state has different rules so it is best to look on your states website, or call them directly for the information. I have a corporation that holds insurance licenses in all 50 US states and I have registered my company in many of those states as a corporation. From my experience, the employees at the state offices are very helpful, though they won't provide legal advice. I personally use an accounting service for these tasks and uploading my accounting to quickbooks. They handle the monthly state reporting. 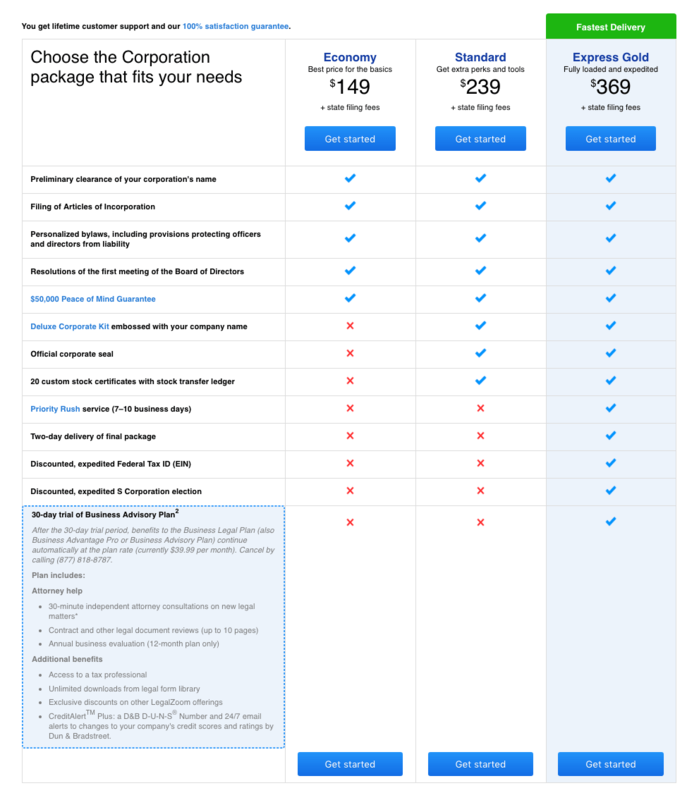 These service typically cost between $50 - $150 per month. Do not forget to file your annual reports! I have made this mistake when starting out and it cost me over a thousand dollars to re-instate my company. Most states allow you to file this online and it there is typically a small fee involved of about $30 - $150 depending on your state. These reports confirm the information of your company and check to see if anything has changed in terms of owners, directors, members or shares. My accounting service handles this for me now as part of their service. There are many services that provide registered agent service. This is the person and mailing address that receives mail pertaining to your company. I've used these services and found the system to be cumbersome and unnecessary. I mark myself as the registered agent now and have important paperwork sent directly to me. It is much easier and less expensive for me.